Buy a cable assembly LMR-195 N-Female to SMA Male? 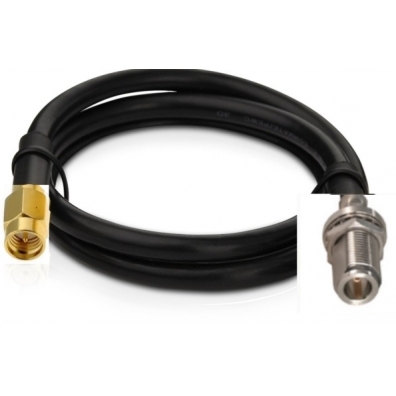 The LMR-195 cable is designed for outdoor use and is UV and water resistant. The LMR-195 coaxial cable is flexible, bendable and has a lower signal loss than for example the well-known double shielded coaxial cable RG58. 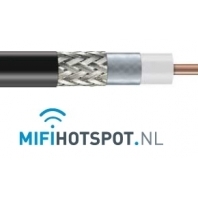 The LMR 195 cable is perfect for use in demanding conditions and ideal for 3G UMTS and 4G LTE. 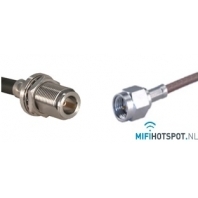 With the LMR195 Low loss cable you can extend a 4G LTE MiMo antenna connected to a 4G LTE router with minimal signal loss. Expierience with and valuations about LMR195 Low Loss Cable N-Female to SMA-male.There are no reviews available yet about LMR195 Low Loss Cable N-Female to SMA-male. You can be the first to write one.